Cecily Faire carries the shame of her past wherever she treads, knowing one slip of the tongue could strip away everything she holds dear. But soon after accepting the position of lady’s companion at Willowgrove Hall, Cecily finds herself face-to-face with a man well-acquainted with the past she’s desperately hidden for years. Nathaniel Stanton has a secret of his own – one that has haunted him from birth and tied him to his father’s position as steward of Willowgrove. To protect his family, Nathaniel dares not breath a word of the truth. But as long as the shadow looms over him, he’ll never be free to find his own way in the world. He’ll never be free to fall in love. 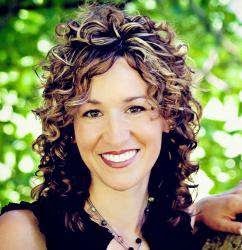 Sarah E. Ladd has more than ten years of marketing experience. She is a graduate of Ball State University and holds degrees in public relations and marketing. 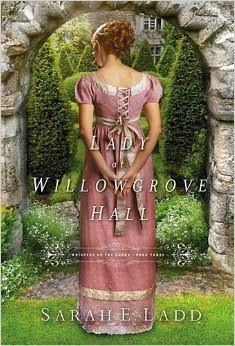 "The Heiress of Winterwood" was the recipient of the 2011 Genesis Award for historical romance and a finalist in the Debut Author category of the 2014 Carol Awards. The second book in the series, "The Headmistress of Rosemere" (2013), was on the ECPA best-seller list for several months. Sarah lives in Indiana with her amazing husband, sweet daughter, and spunky Golden Retriever.